Lion Heart: The Kanu Story is a three dimensional biopic of the triumph and tribulations of a true African icon whose heart beats louder than the roar of a lion. 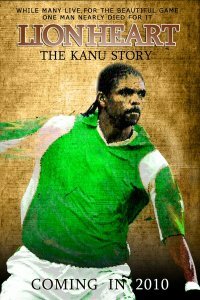 The documentary on Nwankwo Kanu will be released this summer. Klik hier om de versie in het Nederlands te zien. HELMOND, The Netherland 12 April /PRNewswire/ — The fact that you are now a mum or dad does not mean that you can no longer carry on the same lifestyle as before. You will still enjoy going out, shopping and finding trendy gadgets. Whether in your professional or private life, you expect first-rate quality, choosing products that look good and are user-friendly. Quinny has developed the revolutionary Quinny Senzz for parents who know what they want. Combining an attractive design, user-friendliness and comfort, the Quinny Senzz is compact and even suitable from birth, when used with a Maxi-Cosi infant car seat. Its unique one-hand folding system quickly and easily folds the Quinny Senzz into a compact package, which remains upright for easy storage. 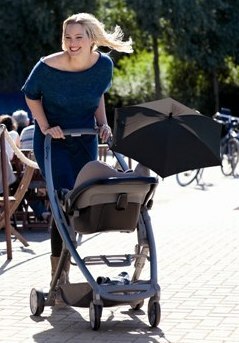 The cleverly integrated handle lets you carry the Quinny Senzz effortlessly with one hand. The compact Quinny Senzz offers your child a spacious seat that adjusts to several reclining positions and is comfortably soft, making it perfect for a nap. The Quinny Senzz can be used from birth with a Maxi-Cosi infant car seat. The Quinny Senzz gives you plenty of freedom of movement. Thanks to its lightweight, compact size and exceptional user-friendliness, the Quinny Senzz can be easily taken on any public transport. It is manoeuvrable enough for an entire day of shopping and, due to its small dimensions, is never an obstacle. With the Quinny Senzz, you can go about your daily routine without any hassles and enjoy all those things that make urban living so appealing. Indulge in your dynamic lifestyle, while your child enjoys the ride. The Quinny Senzz was designed by industrial designers at the top of their field. Their efforts have resulted in a state-of-the-art buggy that can be folded with one hand and that remains upright when folded – unlike most other buggies on the market that must be stored horizontally. You can fold or unfold the Quinny Senzz in an instant while carrying your toddler on your hip – without any irritation or hassle. The Quinny Senzz can be easily carried with one hand thanks to the convenient handle. To give the Quinny Senzz its unique look & feel, our team of designers and stylists worked with high-quality materials in five surprising colour combinations. The Quinny Senzz is made of an oval-shaped frame of flat tubes and a seat of soft yet dirt-resistant bicolour material in a combination of light grey and a vivid colour. The Quinny Senzz comes with a sun canopy, raincover, handy shopping basket and adapters for attaching a Maxi-Cosi infant car seat. As can only be expected, a matching footmuff, parasol and parasol clip are also available as accessories. Quinny offers clever travel solutions for today’s self-confident and self-assured parents, solutions that were made with both you and your child’s lifestyle and living situation in mind. The product range consists of high-quality prams, pushchairs and buggies together with matching accessories. In 2008, Quinny teamed up with designer Henrik Vibskov to create the revolutionary limited edition ‘Quinny by Henrik Vibskov’. Quinny is a premium brand of Dorel Industries (TSX: DII.B; DII.A). Saturday night April 10, the urbane Nigerian filmmaker Femi Odugbemi’s documentary film “Bariga Boy” was the winner of the coveted prize for Best Documentary Film at the 2010 African Movie Academy Awards (AMAA) held in Yenagoa, the capital city of Bayelsa state in the Niger Delta region of Nigeria. AMAA known as the African Oscars attracted top movie stars, filmmakers and aficionados from Africa and other continents, but the competition was for only Africans. Most of the nominees came from outside the host country and proved that they have more to show Nigeria than what Nigerian filmmakers can show them. 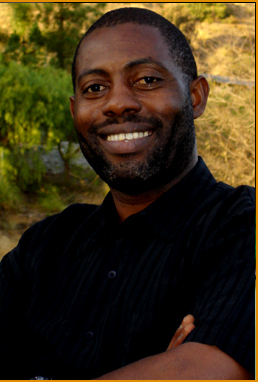 Izu Chukwu’s film “The Child” won the AMAA for the best achievement in Editing and for the best achievement in Make-Up, the film “Fulani” won the AMAA for the best achievement in Art Direction, “I Sing of a Well” was the best in Sound, Kunle Afolayan’s horror movie “Figurine” won the AMAA Heart of Africa Award for the best film from Nigeria, and “Imani” from Uganda was the best film in the African language. CLICK HERE FOR THE DETAILS OF ALL THE NOMINEES AND WINNERS OF THE 2010 AMAA. Femi Odugbemi’s short documentary film chronicles the picturesque life of a young Nigerian actor and choreographer Segun Adefila and his dance drama troupe as he overcomes the challenges of struggling for survival in the Lagos ghetto of Bariga. The spirit of his art propels his genius to rise above the poverty surrounding him and his Crown Troupe of Africa. The poverty and deprivation of ghetto life is no barrier, rather it is the source of inspiration for the dynamic and politically-charged dance drama of Segun Adefila and the Crown Troupe. From the inner city slums of Bariga in Lagos, Adefila and an unlikely band of street performers create a guerilla theatre of inspiring music and dance drama with themes that parody the sensitive contradictions of the politics and government of Nigeria. 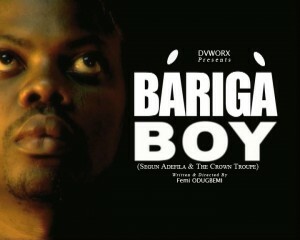 “Bariga Boy” is a gripping experience of how one artiste’s creative consciousness is fired by the urban ghetto experience. WASHINGTON, April 7 /PRNewswire-USNewswire/ — Rediscovering God in America II: Our Heritage, produced by Gingrich Productions, in partnership with Citizens United, has won “Best Feature Length Documentary” at the 2010 Garden State Film Festival on March 25-28 in Asbury Park, NJ. Hosted by Newt and Callista Gingrich, Rediscovering God in America II: Our Heritage explores the role of religion in early America and the belief that “our Creator” is the source of our liberty, prosperity, and survival as an exceptional nation. 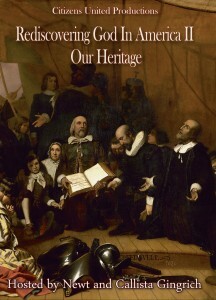 From the first permanent English settlement at Jamestown in 1607, through the American Revolution, to the end of the Civil War in 1865, this film tells the story of the deep faith that motivated and sustained our great leaders, and dramatically presents our nation’s belief in religious freedom. Gingrich Productions is a performance and production company featuring the work of Newt and Callista Gingrich. Based in Washington, D.C., Gingrich Productions provides talent for audio, video, and photographic productions. Together, Newt and Callista host and produce historical and public policy documentaries, write books, record audio books and voiceovers, produce photographic essays, and make television and radio appearances. Citizens United is an organization dedicated to restoring our government to citizens’ control. Through a combination of education, advocacy, and grass roots organization, Citizens United seeks to reassert the traditional American values of limited government, freedom of enterprise, strong families, and national sovereignty and security. Citizens United’s goal is to restore the founding fathers’ vision of a free nation, guided by the honesty, common sense, and good will of its citizens. The Garden State Film Festival is an all-volunteer non-profit organization held each spring in Asbury Park, New Jersey. It was founded in 2002 to promote the art of filmmaking on all levels by showcasing a wide variety of film, video and animated works as well as provide educational programs in the creative arts to the public by industry leaders. The artistic philosophy of the Garden State Film Festival is rooted in the celebration of the independent film genre and the creation of a forum where local and other independent filmmakers can exhibit their work. DODGEVILLE, Wis., April 6, 2010 /PRNewswire/ — Whether it’s a revolution or simply a revelation, women have discovered they are wearing the wrong sizes when it comes to bras, jeans and now, swimsuits. In fact, according to a recent survey of more than 1,000 women conducted by Lands’ End®, eight out of ten surveyed (83 percent) confessed to having worn the wrong size swimsuit. They also believe other women wear the wrong size suit as well; 71 percent believe the majority of women wear the wrong size suit. This could explain why respondents have experienced swimsuit-sizing mishaps such as saggy bottoms (65 percent), cleavage overflow (58 percent), behind busting out/seat creep (56 percent) and muffin top (54 percent). The survey also found more than half of respondents (54 percent) purchase swim bottoms in a size that is too big hoping for more coverage while a third (34 percent) have squeezed into a suit that is too small because a larger size was not available. It’s not surprising that women are compromising when it comes to finding their true size since an overwhelming majority of survey respondents (79 percent) stated they fell in love with a swimsuit style, but it was not available in their size. According to Bryant, it’s more than a numbers game when it comes to finding a figure-flattering swimsuit. Body shape, style preference, color and pattern play a key role as well. Seven out of ten survey respondents agree and believe the biggest swimsuit mistake women make is purchasing the wrong style suit for their body shape. Bryant suggests using resources such as the Lands’ End body shape icons to easily search out swimsuits that are designed to flatter differing body shapes. This season, the company has introduced a new “circle” icon to the mix offering a total of five body shape icons: Inverted Triangle, Star, Triangle, Circle and Rectangle. The icons help women easily seek out swimwear to complement their proportions and specific body shapes. Another consideration is color. This season’s preferences go beyond basic black. In fact, Deep Sea Blue (26 percent) ranked as the number one swimsuit color choice by survey respondents followed by Black (18 percent), Blackberry (18 percent), Mango Orange (12 percent), Brown (10 percent), Kelly Green (9 percent), Slate Gray (6 percent) and Yellow (1 percent). When it comes to swimsuit silhouettes, the tankini still reigns. More than half (54 percent) will most likely purchase a tankini, followed by a one-piece (39 percent) and only 7 percent plan to purchase a bikini. This season, seven out of ten women (70 percent) plan to purchase a new swimsuit and will do so in a variety of ways; by shopping in stores (79 percent), surfing the Internet (68 percent), shopping by catalog (46 percent) and looking through magazines (28 percent). Women would love to turn to swimwear experts. The survey found 39 percent would select a swimwear designer to help them pick out a great swimsuit before their best friend (19 percent). Lands’ End offers several ways to shop for swimsuits. The company offers advice from dedicated Swim Fit Experts that can either chat online at www.landsend.com or on the phone at 1-800-675-4853. A variety of Lands’ End swimsuit styles can also be found online at www.landsend.com or at the 294 Lands’ End Shop at Sears locations. Slather on the Lotion – In addition to sunblock, women are slathering on moisturizer. When asked what women do to get ready for swim season, 80 percent moisturize their skin. Sizing Up Men – Women don’t believe men buy the wrong swimsuit size (67 percent). In a Crunch – More than half of women (53 percent) do stomach crunches to get ready to wear a swimsuit. Tune in to the Tunic – 53 percent of those surveyed believe a Tunic Cover-up is the most important swimwear accessory. Call the Pros – Almost nine out of ten survey respondents (89 percent) would love a complimentary professional swimsuit fitting to help them find their ideal size. Hands to Toes – When getting ready for swimsuit season two-thirds (66 percent) of women get a manicure and pedicure. Take a Wild Guess – While 12 percent of survey respondents stated they “take a wild guess” at their swimsuit size, 47 percent base it on their bra or dress size. Mixed Up – More than seven out of ten women have worn the wrong swim top or bottom size because they were not sold as mix-and-match separates. How it Measures – Two-thirds (66 percent) of women have never taken their measurements with 43 percent stating they don’t know how to do so. 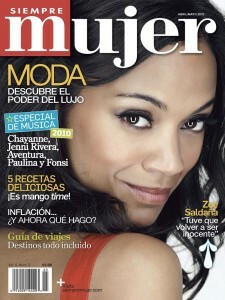 The April/May issue of Siempre Mujer also includes a feature story on the Top 5 Latinos in Music with an exclusive interview with Chayanne, who expresses his humility when he says: “I consider myself a normal person. I haven’t accomplished anything on my own. I find nourishment in working in groups and the results are always more beautiful that way.” A video interview with Chayanne will go live on SiempreMujer.com on April 9th. Other music superstars featured are Paulina Rubio, Luis Fonsi, Aventura and Jenni Rivera. 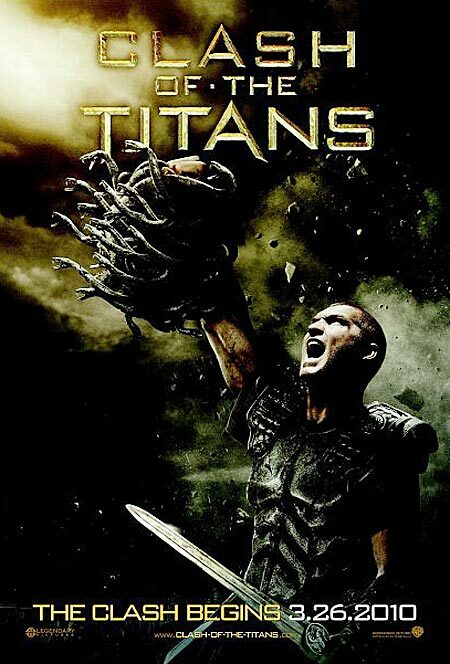 The latest 3D science fiction film Clash of the Titans broke the box office record for Easter with $61.4 million. 3D screens accounted for 52 percent of the gross. 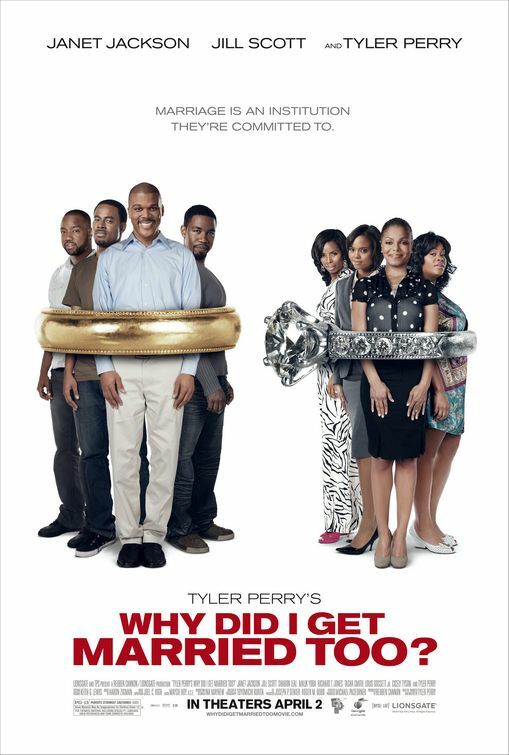 Click here to see the complete Rentrak Box Office Numbers for Weekend of April 2, 2010. 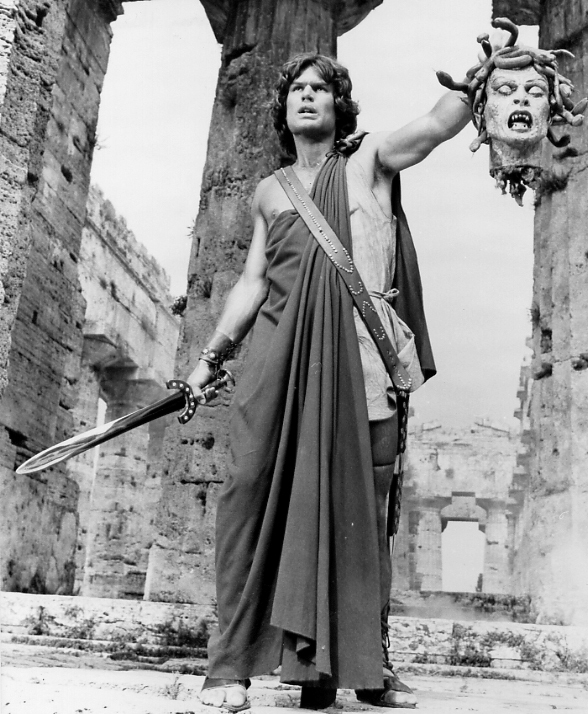 The film is based on the classic Perseus of Greek mythology. The demigod Perseus killed Medusa and rescued Andromeda in an epic adventure captured in 21st cameras and as never seen before. Directed by Louis Leterrier and produced by Basil Iwanyk, Kevin De La Noy and Richard D. Zanuck. This version is the latest remake and over $123 million was spent on the production and has made over $64 million so far in the US. The 1981 Clash of the Titans was directed by Desmond Davis and produced by Ray Harryhausen and Charles H. Schneer. It was done with a budget of $16 million and was a box office hit, grossing over $41 million in the US alone and “was the 11th highest grossing film of the year” and it was not in 3D. From the rave reviews and the 3D craze, the latest version should fare better in the long run. As the hero Perseus, the acting prowess of Sam Worthington is tested beyond his SFX-enhanced role as Jake Sully in Avatar. The scene from the 1981 film. 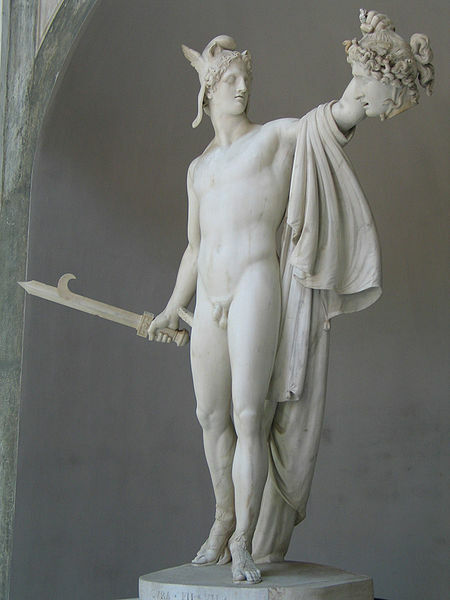 Photo of the sculpture of Perseus with the head of the gorgon Medusa, by Antonio Canova, completed 1801 from the Vatican Museums.